I seem to be saying this a lot lately, about different people, but it is true. Sarah Sundin is one of my favorite authors. I think I've read every book she's published. At least I've read every book that comes up on her "author page" on Amazon. 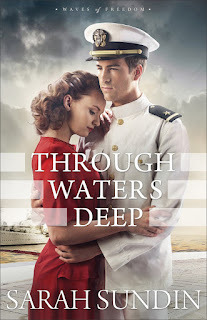 Obviously, I didn't have to even think about whether or not I wanted to review Through Waters Deep, the first book in her new Waves of Freedom series. Sundin is absolutely the best author I've read when it comes to World War II era historical fiction. 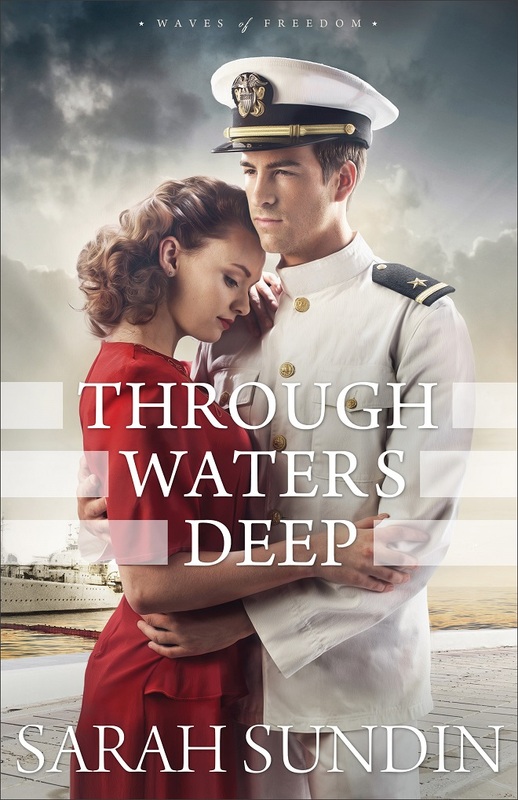 Dale's grandfather (who I never met) served in the Navy in WWII, so that makes me even more interested in this particular series. If it wasn't obvious from the introduction to this post, I loved the book. Sundin always seems to take some little known aspect of life in the 1940s, or World War II in general, and bring it out in a compelling way. In this book, a main focus is on the controversy swirling in the US about this European War and how we should -- or shouldn't -- get involved. I know that I did learn a little bit about that in studying history, but when you think about WWII and the mood in the US, it is things like Victory Gardens, Rosie the Riveter, men lined up to enlist, and people sacrificing for "our boys" that come to mind. Everyone pitching in to rid the world of evil, once and for all. This book, set in 1941, all takes place before that "rah rah" spirit became nearly universal. As always, it is obvious that Sundin has done her research. She has also set it up so I'm looking forward to the next two books in the series, which will focus on characters in Jim and Mary's circle of friends. Thank you for the lovely review, Debra! I'm so glad you enjoyed Jim & Mary's story!